This was the recurring theme of unsolicited advice I got from the seniors living in the various nursing homes I’ve worked in for over 28 years. What makes my life worth living is being able to enjoy travel, family, friends and new experiences without pain. It’s having a mind intact and focused that can communicate. It’s about looking and feeling my best. I am passionate about educating my clients on how to slow down the aging process and putting the body back into balance. My clients are savvy, educated and busy people. We work together on their health goals focusing on what’s most important to them; health on the inside or health on the outside? Partnering with a science-based company, I put together a personalized program that offers simple solutions incorporating the best of nature and cutting edge science of longevity. 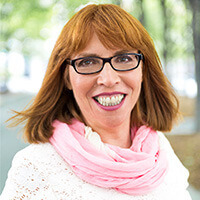 Deborah Farkash is an educator, consultant and entrepreneur. She started Living Well Inside and Outside in 2011 to provide health, wellness and longevity products and support to her clients. Deborah holds a masters from LIU in Recreation and Rehabilitation Therapy. The first 28 years of her career she spent working with the frail elderly, including people with Dementia and Alzheimer’s. Deborah’s personal journey/ health challenges and passion for disease prevention and improved quality of life started her on the path to starting her own business. The mission of Living Well Inside and Outside is to promote quality of life for a health span not just a life span. It focuses on simple solutions based on ancient wisdom and scientific breakthroughs in the anti-aging science of longevity. Deborah’s life experience has created a unique perspective on health and wellness. The stress of working in a dysfunctional health care system, her own health challenges, and watching parents who were sick most of their lives all motivated her to search for better ways to live and age. In addition, becoming aware that friends, family and colleagues were being diagnosed with chronic illnesses like high cholesterol, high blood pressure and even cancer at younger ages inspired her to want to do something that could result in healthier aging. Deborah’s personal journey of recovery from burn-out and working with her acupuncturist, introduced her to an innovative system of products designed to slow down and even reverse the aging process. These nutritional and herbal supplements plus anti-aging skincare helped her get back into balance and feel well again. Deborah experienced an increase in energy, memory and focus and the eczema on her face cleared. Her experiences plus other people’s experiences of getting better using these products provided proof that the system worked. Deborah believes that people have more control over their health and genetic destiny than they may think. Slowing down – even reversing – the aging effects of time, stress and the environment with these innovative products enables her clients to feel more vital, strong and youthful. Wanting to share this news and opportunity to change the trajectory of health and aging, Deborah partnered with science-based Nuskin and the Ageloc platform. Deborah’s clients are usually well-educated people 35+ who are already doing many of the right things to stay healthy longer. They have reached a crossroads – due to age, marriage, divorce or a significant diagnosis of themselves or someone close – and are open and ready to take additional steps to change the trajectory of how they age moving forward. During a comprehensive consultation process Deborah asks many questions to understand her clients’ concerns and goals, and learns what’s important to them. Deborah gets a base line score of a person’s overall antioxidant health using a BioPhotonic Scanner (Learn more about the BioPhotonic Scanner). Based on all this information, Deborah creates a personalized program that may include supplements and skincare. Connect with Deborah for a free initial 15-minute phone consultation. Her passion for making a difference and serving her clients shows in the questions she asks and the quality of her listening. Deborah educates her clients on the science in each of the products that she recommends. She coaches her clients throughout the processes so their new habits stick. She follows up at regular intervals, making adjustments along the way to improve her clients’ results and experiences. Deborah keeps her clients abreast of new technologies to support their goals. She is able to offer exclusive access to award-winning patented products that are scientifically proven to make a difference.